One of the main priorities as a parent is your child’s happiness and well-being. 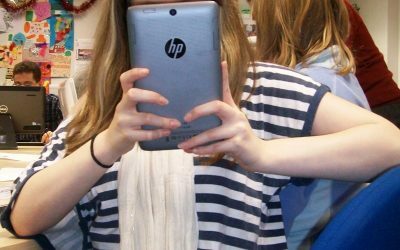 If your child or young adult owns a smartphone or tablet, chances are they have at least one social media account. There are many great things that come with people using social media, such as being able to keep up with friends and family, discovering new places or interests and documenting important events or times in your life. While it feels great to share your life and get a positive response, sometimes negative responses pop up such as feeling jealous when comparing yourself to others. · Ask your child why they enjoy social media. · Getting to the bottom of what aspects of media appeals to your kids is a good way to gauge why they follow who they follow and post what they post. · Encourage your child to think about whether or not likes on a photo or post is valuable feedback. As a child or young adult, it can be easy to get caught up in the whirlwind of social media. By encouraging your child to appreciate and absorb the positive reactions they are receiving in ‘real life’, and not just over a screen, you can hope to make them feel more confident about having a social media account and value the authenticity of real life interactions. · Give them kind, in person comments about their social media. Chances are, you follow your kids on their social media platforms. If you see them post a selfie or another personal thing about themselves, give them a call or tell them how you liked their post in person. This will help them see the difference between how it feels to receive a compliment online about their post versus a real and personal, face-to-face compliment someone took the time to say. · Have a conversation about why some posts could be receiving more likes than others. If your child is comparing themselves to celebrities or other influences on the internet, it is important to discuss why a celebrity would get more likes or post the content that they do. · Discuss the different between jealousy and admiration. Traces of jealousy are a big factor that comes into play when people are having social media based self-confidence issues. If you discuss with your child the differences and benefits of admiring someone versus the dangers of jealousy, this could help them see who they follow online more as role models and less as people they are trying to compare themselves to. Individuality is an important thing for young people on media to be aware of. Social media can be a tricky tool for most people at some point, not just young adults and children. 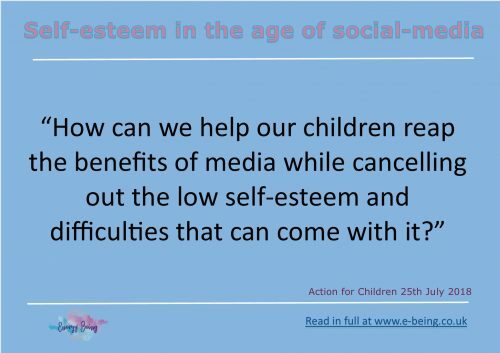 Staying open with your child and using social media as a lesson to help them realise their confidence and individuality as a person is a great way to prepare them for other things that will come up in their lives that might lead to self-doubt. Everything is good in moderation, and letting your child know that social media is not the only way for them to interact and engage with others positively is important. Staying open with your children will allow them to see that meaningful conversations do not always have to happen behind a keyboard or computer screen, and that what they have to say is enough for you as a loving parent.